Here’s what to see in Matera, one of the oldest cities in the world. 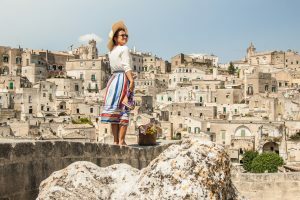 The spotlight is focused on Matera, a city in Basilicata, which has ,with good reason, been named European Capital of Culture 2019. This is a unique opportunity to bring some deserved attention to the Città dei Sassi, an invaluable Italian and global heritage site, one of the oldest inhabited places in the world. Its “Sassi” (which means rocks), even if with a few years of delay, were recognized as a UNESCO World Heritage Site in 1993 and were the first site in southern Italy to obtain this recognition. Becoming a European Capital of Culture is not easy, and Matera is the fourth Italian city to be chosen for the prestigious title in over 30 years: the jury decreed this city the winner not only for the undisputed quality of its landscape, but also because of the strength of the campaign put in place for its application. The initiatives throughout 2019 will be numerous, so there is no better time than now to plan your trip to Italy with Dragonfly Tours. 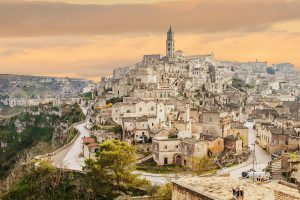 Matera is a fascinating place, its timeless atmosphere is difficult to put into words and describe for those who have never visited it. Take a look at the Dragonfly itinerary between Puglia and Matera designed just for you. 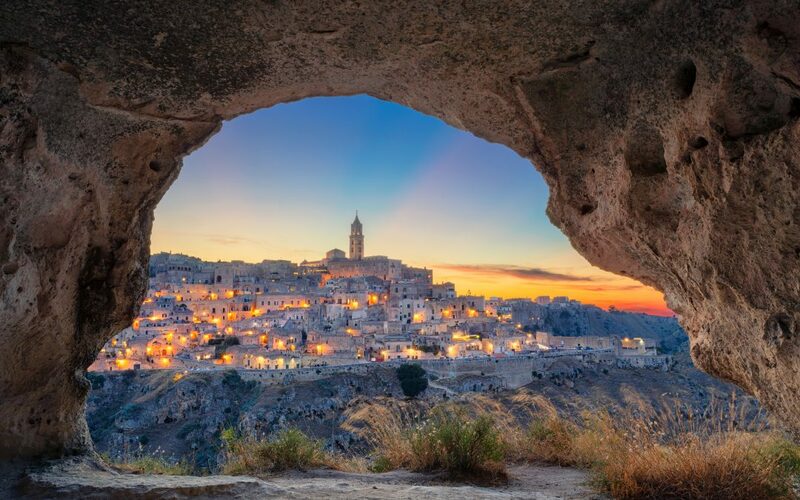 A rural village dating back to over 9000 years ago, Matera offers a lot to see among its intricate tangle of streets and caverns carved literally in the rock. The definition of Sassi derives from the two distinct districts, Sasso Barisano and Sasso Caveoso which, together with the Civita and the Piano, make up the historical center. Religion has also left its mark here, so much so that churches, convents and monasteries are also carved out of the cliffs; the most renowned and important among these are Santa Lucia alle Malve, Santa Maria di Idris, Santa Barbara , which is rich with frescoes, and San Pietro Barisano, which is almost entirely concealed within the rock, along with many other buildings that constitute a praiseworthy artistic heritage. Until 1968, it was inhabited by more than 30,000 people. It is the third oldest city in the world. 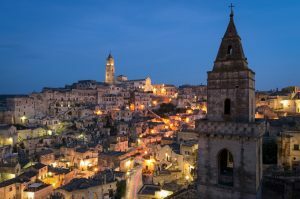 There are over 150 churches and the houses are dug into the rock as opposed to modern architecture: buildings are designed where there are empty spaces, in Matera the buildings were created by excavating into the rocks. There are more than 1,000 cisterns that were used to collect large quantities of rainwater. In some houses, it is still possible to find the furniture of the period.